One of the tenets of losing weight is that you must reduce your calorie intake. Eat less, exercise more. I would like your thoughts on something I struggle with on a regular basis, that may be an issue for other readers as well. My question to you… I read recipes and articles all the time about reducing calories to be able to eat the sweet treats and unhealthy foods we love while maintaining a reduced calorie diet. However, all these products are so unhealthy. 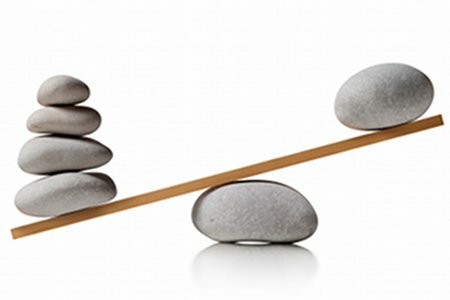 Do you think it is healthier to weigh maybe 10 or 15 pounds less because you’re able to maintain a very low caloric intake full of artificial sweeteners and ingredients or Is it better to simply keep the extra pounds from eating a few more calories each day and fill your body with healthy, natural fuel? I struggle with this daily…health vs. low cal! Yeah, I hear you. At a Weight Watchers meeting there are frequently two sides of the room. One side is trying to eat healthy and lose weight, the other side is trying to reduce the amount of calories they consume to keep eating as much junk as possible (and still lose weight). My perspective has always been that processed food that is low calorie by including artificial sweeteners or strange additives just doesn’t taste very good. I am on this planet for I don’t know how long and I want to enjoy my food. The vision I promote here on Snack Girl is that fresh fruits and vegetables taste good when prepared correctly and are so much better for you than any of the packaged diet stuff. They are both low calorie AND healthy. Hurray! All of the research into diet and nutrition says the same thing. You get less diabetes, cancer, heart disease, etc. if you eat more fruits and vegetables so there is a win-win to reducing your calories by eating healthier. I do believe that eating healthy should be a goal of people trying to lose weight versus eating less calories by any means necessary. And, your question of keeping on the extra pounds versus always being on a low calorie diet is an important one too. I think it is possible to think you are fat and eat healthily and be in good shape. This is such a personal question - “How much should I weigh?” While I can’t answer it for Fran, I can tell you that I spent 10 minutes on the Victoria’s Secret website looking at underwear and OMG those girls are skinny. Who really looks like that? I think that eating healthy is more important than being a perfect size 4. You are taking care of your body and that is essential to a long life. My guess is that you will have more energy and feel good about yourself with the healthier eating route than the artificial low calorie one. The beauty that comes from the inside because you feel great is way more gorgeous than being artificially thin. What do you think? What is the best way to reduce calories? I think the key is balancing "unhealthy food we love" with healthy eating. If you love something, make it healthier as naturally as possible but when you can't do that, allow yourself the room to balance and eat it, even just a little of it. I think the key is balance. Totally agree with Lisa on how we look at ourselves. That's part of the balance. As Jason Vale says, "Flip the 'I want it, but I can't have it' hand-wringing to 'I can have it, but I don't want it' calmness." Real, whole, healthy food has worked for humans (and primates, if you're down with the evolution thing) for eons. Eating bagged/boxed/canned/highly processed food-like products is a relatively recent phenomenon and, I'd argue, strongly correlated with the severe increase in Western-civilization diseases we see these days. If there's such a clear correlation between the consumption of this garbage and poor health, why would I want to eat it? Lisa, I agree with you 100% and you too Jason. I have lost 30 lbs. In 10 months going to WW. I have done it with healthy choices and PORTION CONTROL. Other gals at the meetings are obsessed trying to find low cal garbage to fill their sweet tooth. I know as I started eating healthier by adding the veggies and fruits to my diet. I no longer craved the unhealthy snacking. Changing the way you eat also changes your taste buds. When I go to indulge I notice I don't want as much because I can taste the sugar or the salt more in processed food and its less appealing. Low fat and fat free equals chemical sh*%$! storm!! Stick with healthy choices and the proper balance of protein/carbs and good fats. Anything processed is going to cause problems for the digestive system. Keep the processed and treats to a minimum. I agree that it's better to eat healthy foods rather than the low-cal, low-fat we've been led to believe will keep us all thin...even though I still struggle with it. Our WW meeting is the same...those of us who try to eat unprocessed and those looking for the biggest calorie bang for their buck. I fell away from unprocessed for a few weeks and felt awful. So, I'm trying to get back in line and I really appreciate this post! The manmade sugar subs are going to kill us in the long run. So many studies being done about the long term harm of products such as Splenda, Equal and Sweet & Low. We need to stay as close to nature as possible. I do use these sometimes, but not every day. It's very difficult. Honey and maple syrup seem to be helpful at times. You pin pointed it correctly!! Eating more fruits and vegetables is the way to go. I don't use artifical sweetners like Splenda. It's not real and I don't think it is good for you! I'd rather use full fat like olive oil, avocados and peanut butter then cut the fat out and sub with artifical sweetners and flavors! Love today's post! And your right the VS girls are way to skinny!! I agree with you 100%. I've been on multiple diets over the years but THIS time I'm older and wiser(?). My goal was and is to be healthy. I'm eating as fresh and local as possible and after many years of a sedentary life style have incorporated a variety daily exercise. I feel better than I have in a very long time! Artifical foods that are low-calorie are a misnomer anyways. They actually cause weight gain. That is why in America, despite having low-fat EVERYTHING available, we are going deeper and deeper into the obesity crisis. Do you know what farmers feed their pigs to make them get fat, and fast? Low-fat milk. I have just spent six days visiting friends in another part of the country. They do not eat at home - they eat out in restaurants or "on the fly" (i.e. fast food) 3 meals a day. I gained 6 pounds in four days. I tried to make the healthiest choices possible, but to no avail. I am bloated, my ankles are swollen and I feel really crummy. I am back to my way of eating beginning today and am eating a nice, fresh juicy apple as we speak. Give me local, fresh and "real" food any day - processed is NOT for me! Forget weight loss. If you want a HEALTHY BODY, you have to eat the foods that sustain a healthy body. Low-fat and sugar-free goop is still goop, and humans were made to eat FOOD, not goop. My suggestion is to eat good, sustaining foods as a matter of routine and save treats for holidays, birthdays, parties, company, visiting people's houses, celebrations, and trips (all right, maybe weekends). For the most part, foods in and of themselves aren't fattening or slimming. Eating habits and food routines are. A chocolate Santa at holiday time isn't going to hurt anything. The damage lies in making a habit of having two Big Macs a day as plain ol' workday lunch. Guess what?! Eating healthy and avoiding junk WILL drop the pounds! Double bonus! I lost my twenty by avoiding processed sugar, drinking less wine, and upping my daily intake of fruits and veggies. I can't say I eat no sweets or drink no wine, but I am a lot more aware now and consume less than I used to. My pants fit again! I agree that healthier foods are the best way to lose weight and get/stay healthy. However, everyone is on a different step of this journey. I started with artificial sweeteners and they were a huge part of my journey because they allowed me to feed my sweet tooth. However, (you knew that was coming didn't you) I learned after having a toxic reaction to said sweeteners that they did not satisfy. I always wanted more and I think that is because I wasn't eating real food. I would now rather have half a piece of cake and ENJOY it vs. have a lot of something that ultimately did not satisfy. I do think this is something we each need to learn. Some people (me included) just won't listen until I experience it myself. Like most of you that have posted my whole life has been consumed by diet...diet.... diet. I have used Splenda and all the others and have not lost weight. The more I used the more I needed the next time to satisfy my sweet cravings. After researching the internet on all things artificial I have sworn off of the artificial sweeteners and started using honey and maple syrup for the sweetness I like in my coffee and tea. But....since I was using Splenda for so long I found that I had to use a LOT of honey to get that sweet taste just right so I am using the proper amount, (one to two teaspoons), per cup hoping to re-train my taste buds. The same thing goes for artificial butter products. Yucky stuff to put into our digestive system. Thanks for this site and the info I gathered here. And yes, it can take time to retrain your taste buds not to demand that -everything- taste super-(artificially)-sweet, but it can definitely be done. Nowadays, I don't sweeten any beverage I drink, and I don't drink soda or even juice; now, if I have a sweetened beverage, it tastes too sweet - cloying, really - and I don't like it. But I used to like soda and juice. I've just gotten out of the habit of having them, and as the habit changed, so did the craving for that sugariness. At any rate, our bodies aren't made to process chemicals designed in a lab; they're made to digest natural fruits, vegetables, grains, meats, etc. How could the fake stuff NOT have some kind of ill effect, to say nothing of the ill effects on the world of producing it? I agree. Quality over Quantity is the way I like to go. I think it's a balancing act. We are all going to die somehow someday from something. I try to eat mostly healthy, whole, as natural as is practical for me for the majority of the time, but I also like to consume some low calorie foods that do contain some artificial ingredients, such as fat free yogurt that is sweetened with Splenda. While I wish the companies would use stevia to sweeten, I do value being able to eat more for less calories very highly, so if this means a bit of "fake/processed junk" then I'm totally fine with that, knowing that the most of what I eat is SUPER healthy. We live in such an altered world and society that eating "perfect, whole, clean foods 100% of the time just doesn't work. They can be very calorie dense, and that was great for people "back in the day" where people were MUCH more active, but unless you are an athlete or very dedicated exerciser, those calories will pack on the pounds if you eat enough to satisfy your hunger. I know of people who eat VERY healthy and have had major health issues, and also people who eat a lot of junk who have the same issues. So, do whatever works for you and makes you feel your best!! As for Carrie's comment above mine, I am the opposite... I feel quantity is a bit more important. I hate feeling hungry, and have a massive appetite... and I hate the feeling of being over my preferred weight... so as long as the quality is not SO SO horrible, and only a portion of my diet contains "less-than-optimal" quality ingredients, I am satisfied. I have eaten in a variety of ways: average mix of healthy and unhealthy (as a kid), a fairly healthy vegetarian diet, but still moderate amounts of "junk" (pre-teen/early teen), a very low fat, low sugar, moderately low sodium vegetarian diet (mid-teen - early adult)... I experimented with the raw vegan & gluten free diet for about 5 months (was probably doing about 80% raw), eased out of that, then added several "processed junk" items back into my diet to see how I would feel on them compared to the almost overly clean diet I'd been on the past half year (I actually felt better with the junk go figure... not tons of junk, but some in addition to an overall very healthy vegetarian diet) and now I have settled on a diet that is Vegetarian, probably about 80% whole, healthy foods, and the rest some processed foods (some are "healthy" processed items such as unsweetened almond milk, tofu, etc).